We are based in Brisbane Australia, but sell to the world our lights are hanging in Sydney Harbour to Disneyland in LA, all over Coldplay's latest world tour to the banks of the Thames in London. 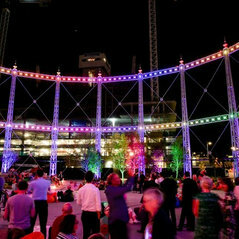 Our CEO have won many awards for lighting design our products have been in many many awards. 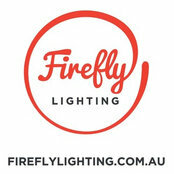 Professional Information:Firefly Lighting Australia was founded by award-winning lighting designer Heath Williamson. Heath started in the film and Television industry when he was 17 he worked his way up the ladder in the Production and Camera departments working on thousands of television commercials for Australia and the World like McDonald’s, Toyota, as well as classics like The Tina Turner Rugby League football campaigns, Coca Cola Summer Kite surfer, Fosters Beer Olympics commercials that were filmed all over the world, Nescafe Coffee commercials shot on location in Cuba, just to name a few as well a many Music Videos like Australia’s Powderfinger. He also worked on feature Films like Muriel’s Wedding, WWE’s The Marine and 48 Shades that was picked up by Disney.